Watch England train for free! ENGLAND fans can meet their heroes and wish them well ahead of the Rugby World Cup when they train at the home of English rugby on Tuesday August 9. The session will run from 4.30pm to 5.50pm before supporters have the opportunity to come pitch-side and collect the autographs of their favourite players. Entrance into the stadium is free and gates open at 3.30pm, although The Rugby Store and World Rugby Museum will be open from 10am. 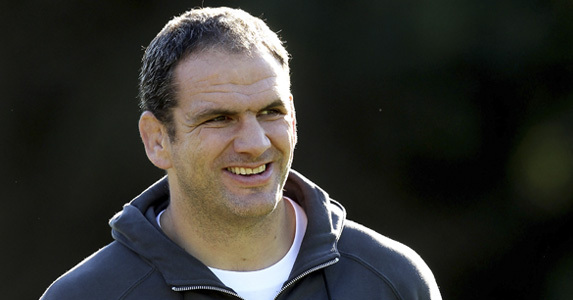 This is the fifth open session since Martin Johnson took over as England Team Manager but is the first time it has taken place in the week of an International fixture. England play Wales at the Millennium Stadium four days later on August 13, giving the crowd the opportunity to watch the squad being put through their paces as part of crucial preparation. Open training sessions have always been popular events and Johnson hopes this one will be the biggest so far. Entrance into the stadium will be via Gate A and parking will be available in the West car park off Rugby Road. The viewing area for the open training will be in the West Stand Lower tier. The Rugby Store, situated on the South Stand of Twickenham Stadium on Rugby Road, will be open from 10am and throughout the evening, offering supporters the opportunity to purchase England mementos and items to be signed. The World Rugby Museum, also open from 10am, will be offering a special entry rate of £2 for adults and £1 for children, giving fans the chance to turn back the clock and learn about the history of the game and its ultimate competition, the Rugby World Cup. Further free fun activities are being planned for the West car park at Twickenham Stadium, keep checking www.rfu.com for more details.